Some look to juicing regimens as weight-loss solutions. Indeed, there are many benefits for juicing. First, you give your digestive system a rest so that your body has time to put its energy, besides digesting, into elimination, recovery and healing. 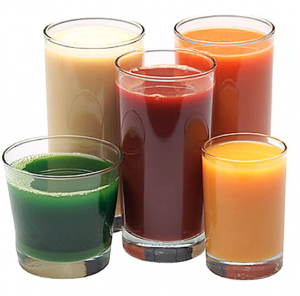 Juicing also gives your digestive system a rest, including the stomach, intestines, pancreas, gallbladder and liver. During this process, your cells have the time to catch up with their work as well. They can repair themselves and detoxify. Some say they experience new energy, a clearer complexion, and clarity of mind and body. Don’t fast. Juicing and fasting are two different things. Do not mix them up. Fasting means that you are not eating; rather, you provide your body with water alone. By juicing, you still provide your body with the nutrients from fresh-squeezed vegetables and fruits. For many, this mitigates the problem of protein breakdown that they face when fasting. Muscle breakdown. When protein and muscle tissue breakdown is a concern, some juicers just add on brown rice milk to provide extra amino acids. Powders are not recommended since it is processed and high-protein diets add on more toxin buildup. Always check in with your health care practitioner if juicing is a strategy for your to implement. Consider duration. The duration of a juicing regimen plays an important part as well. Juicing should be introduced slowly — one day, two days or three days to begin with. Select the right kind. And of course, the type of juice you consume is key. Juices in plastic bottles are not the same as fresh prepared juices that are consumed immediately after squeezing. When you use prepared juices rather than fresh juices, you will not receive all the benefits that you are looking for as mentioned above. This is because in order to be able to store the juice, manufactures pasteurize it. Pasteurization kills bacteria and germs and, therefore, makes the product more durable, preventing it from quick spoilage, thus creating a perfect product for shipping across the country. The flip side is that this pasteurization process sometimes destroys important vitamins, minerals and enzymes that would otherwise help your body reap the benefits explained above. Yet, there is one exception: Juices prepared by the Norwalk Press. For many of us who live in areas where a culture of healthy living exists, you may never need to get a juicer of your own. You will always find delis or stores that make juices — an inexpensive and convenient option, even when you’re on the run. Some of us, however, are not as fortunate to live in such an area. The solution? Buy a juicer. Sure, some of them are a hassle to clean, but there are those that are not. Norwalk Press: The Norwalk Press was developed in 1934 by Dr. Norman Walker. Walker searched for the perfect juicer, and he found that the existing model at the time acted as a shredding machine, keeping pulp and fiber in the juice. Because of this, he argued, consumers could not fully use the nutrients in the fruits and vegetables, as the body did not have the chance to break down the food the same way it would through the chewing process. The press he devised extracts only the juices, without the fiber and pulp. Through this process, he explained, the juices are directly taken into the bloodstream with the nutrients actually feeding your cells within 10 to 15 minutes. And all this without digestion and assimilation. Centrifugal Juicers: There are many centrifugal juicers that you can buy, both in stores and on the Internet. The centrifugal shreds the item and separates the pulp from the juice. It is easy to use and easy to clean. The downside with this kind of juicer is that it does not work as well with greens, but it is still excellent for juicing carrots, cucumbers, celery or apples. One more consideration: Because of the high-speed cutting action of the blade, produce tends to oxidize, which results in damage to the enzymes and nutrients in the juice. Masticating Juicers: In this category, masticating juicers are further subdivided into three categories: the Champion juicer, which works like the centrifugal; the single gear juicer, which works by crushing the produce; and last, the twin gear machine, which presses and crushes the produce and strains the juice through a screen. Out of the categories listed above, the Norwalk Press, is probably the most beneficial, as it can pass on the nutrients from fruits and vegetables immediately without the oxidation of the produce. There are many books to help you learn about juice combinations. For weight loss, the following combinations can be used as meal replacements. This offers a starvation-free alternative to keep your blood sugar levels up, which is important in any kind of weight-loss program. Many studies have shown that juicing increases your body’s function and helps to strengthen your body’s various systems — your endocrine system, digestive system, and immune system, to name a few. Some studies have suggested how one day per week of juicing can improve your health and weight. However, juicing is not for everyone. It is best to check in with your health care practitioner if you want to consider any juicing regimen stretching over a one- to three-day period. Stay focused and expect results. P.S. : We are open the Easy And Simple Weight Loss Mentorship program in 4 weeks again. Only two spots available this time. Check it out here.